Plus10Kapow: We're bad guys, it's what we do! We're bad guys, it's what we do! Charlie of Charlie's Nail Art Supplies very kindly sent me some of their products to review. 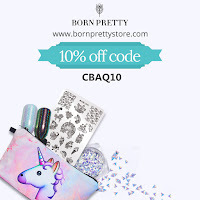 In case you haven't heard of Charlie's Nail Art Supplies, they are based in the UK and have super low prices. 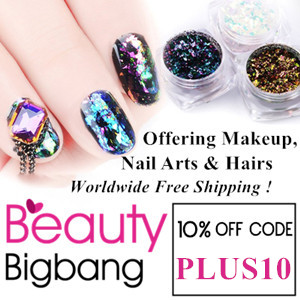 They sell nail art stuffs from glitter to water decals, to embellishments. 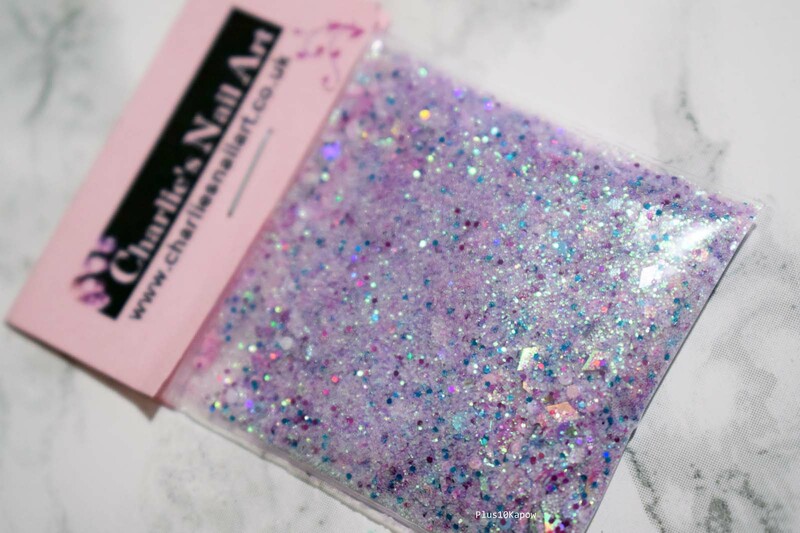 As you can see, this gorgeous Unicorn Glitter mix caught my eye first. 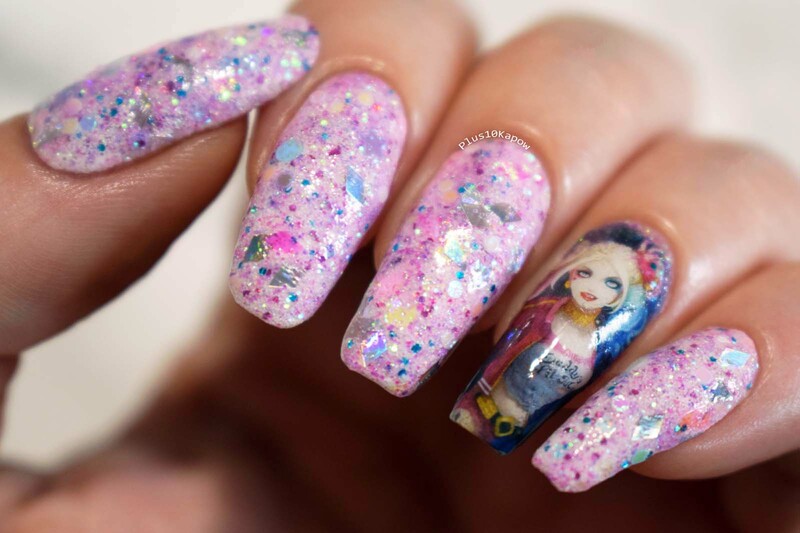 In my front room lighting, the glitter mix looked white and blue in the bag, so I had a mani all planned out, but when I started applying it to my nail it showed more as pink, so I quickly changed what I was doing and luckily Harley was close by. The mix is in a 4g bag and has fine glitters, along with rhombus, hexagon and circle glitters and some mini stars. There are holos, matte and iridescent and you end up with a very sparkly, very pretty mani. I started with a base of Barry M Cotton, then once that was dry I added a coat of Poundland Clear Polish and stuck my finger into the bag, pressing my nail into the glitter. Trust me when I say, this was the safest way to avoid me and my entire room looking like a fairy threw up on us. I was one twitch away from disaster. But it worked really well and I managed to cover my entire nail with one dip. Then I used a fan brush to sweep off any excess and went in with topcoat, Seche Vite as usual. 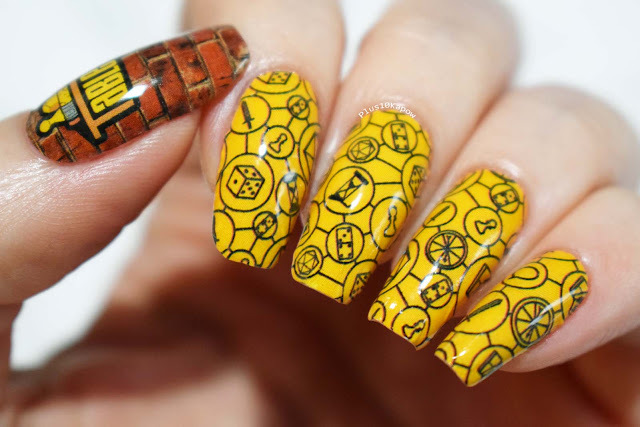 Ok, now here is where you could be swayed to use gel topcoat with this instead. It is very topcoat thirsty. In my photo, you can see that it looks kind of textured/messy. This was with 2 coats of Seche and I kind of like the textured and chunky look so I left it like that. But if you like things to look and feel smooth, you might want to go for gel or you will be using maybe 3 or 4 coats of topcoat altogether. 4g might not sound that much but you will definitely get a few manis out of this bag and that's if you use it on all nails. If you are just using it as an accent, it's going to last for ages. You can grab this glitter mix here for 75p but definitely check out the rest of the shop as it really is super cheap and as a bonus, use code CLPK10 for 10% off your order.